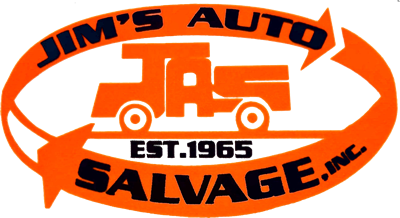 Jim’s Auto Salvage located in Sebring, Florida is the partner yard to Jim’s Import Auto Salvage. We take customer service to the highest level with our friendly and knowledgeable support team. Our dedication to our customer in providing an incredible selection of top-condition domestic used auto parts choices, great prices and friendly service sets us apart from competitors. We aim to represent our business as the most valuable and reliable resource for used domestic automotive parts throughout the southeast and nationwide. Looking for that quality domestic auto part to complete your restoration? 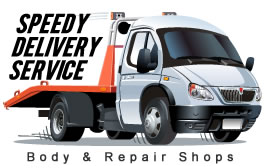 Jim’s Auto Salvage even offers delivery service if you are local to Florida. Our customers return to Jim’s Auto Salvage time and again because they believe in consistency and know they are appreciated. We encourage you to experience the Jim’s Auto Salvage difference we believe is most important to our customers day in and day out. Questions About Jim's Domestic Used Auto Parts? The automotive industry regards our state of the art dismantling area as one of the best & a leader in the used automotive community. Expect nothing but the best. We have a state of the art inventory system that can locate any part that you may need. Let us find that domestic part, hart part, or that detail piece you have been searching for. Used parts can have a bad reputation. We only sell top line parts in like new condition. We do not sell replacement parts so you know that you will get the best. Do you know how many usable parts are just thrown away every day? Recycling original parts contributes to the well being of the planet and will save you money at the same time. Looking for that import part to finish up your custom rebuild? Look no further. We have just what you need at our partner yard, Jim’s Import Auto Salvage, where we focus only on import parts. Both Jim’s locations are proud members of the Automotive Recyclers Association and Florida Auto Dismantlers & Recyclers Association.